This application form is for children with autism whose families wish for them to benefit from an Applied Behavioural Analysis (ABA) programme. The Playhouse Foundation is offering bursaries to fully or partially fund Hampshire based families with children of either 2 or 3 years old. 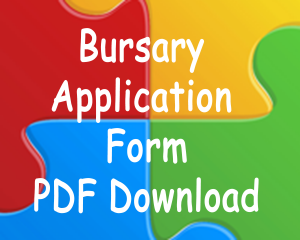 Families must be on a combined household income of £50,000 or less to be eligible for a bursary and not currently receiving an ABA programme. In exceptional circumstances, at the trustee’s discretion, partial funding maybe available to families with a combined income over the threshold. Early Intensive Behavioural intervention is an educational programme based on ABA for young children with autism. Parents of successful applicants will be expected to demonstrate commitment to the programme. They must make available one clean living room dedicated to the programme. They will be responsible for recruiting their own tutors and timetabling and fully participate at fortnightly team meetings. It is anticipated that parents will use the opportunity provided by the ABA programme, enabled with funding provided by The Playhouse Foundation, to proactively gather evidence to try to secure an Educational Health Plan for their child by the end of the first year of the programme. The Trustees cannot guarantee any funding beyond the end of year one of the programme. asked to declare that the information they are providing is both accurate and complete. If the information provided is subsequently discovered to be false or misleading, The Playhouse Foundation Trustees reserve the right to withdraw the means tested ABA bursary. Having returned the completed application form, one of the Trustees will be in contact via the phone to conduct an informal interview. In addition, families shortlisted may require a home visit by one of our consultants to assess the child’s needs in more detail.